It isn’t often that a manufacturer offers two different model years of the same car but due to various factors it does happen from time to time. It is, however, rather rare for three model years to be available at the same time especially when they straddle two generations of vehicles, yet this is exactly what BMW is doing with its 3 Series sedans. 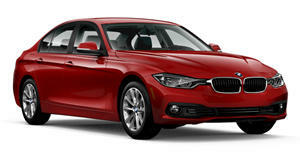 Based on an analysis done by Carsdirect, dealers still have stock of 2018 model year cars (these are the previous-generation F30 sedans) and are also offering the new generation of G20 3 Series in both 2019 and 2020 model years. If you don't mind slightly older tech, then the 2018 180 horsepower F30 320i starts at $35,895 and there is a rather good $299 p/m lease offer on at the moment on this sports sedan. The 2018 hybrid 330e iPerformance sedan is actually $20 less p/m while the quick six-cylinder 320 hp 340i is a very tempting $409 per month. Stock could be limited here so you may have to settle for whatever your dealer has on hand or can source. 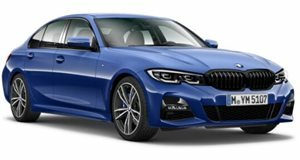 The new 2019 G20 255 hp 330i sedan is available on a lease deal of $469 p/m, a healthy premium over the F30 cars but you do get the latest safety and drivetrain technology as well as more choice when it comes to trim and specification levels. The upcoming 2020 382-hp 340i is going to be the most powerful non-M sedan when it arrives and also the most expensive, with prices starting at $54,995. They are available to order but no lease deals are available just yet but expect it to be a fair chunk more per month than the 2018 BMW 340i Sedan which has an MSRP of $48,950. So, if you are in the market for one of these Bavarian luxury sedans then you are in the rare position of being able to pick from a broad variety of models spanning two generations, and if you aren’t too picky you may even find the rarest 3 Series of all, a lucratively priced one.